P&O Cruises' Australian history dates back more than 75 years, but the link with the British P&O Cruises goes back even further. 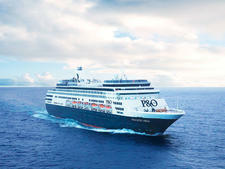 The UK-based company has dabbled in Australian waters since 1857, going on to establish pleasure cruising here in 1932. As the cruise industry has grown locally, so has P&O -- and in some ways it has led the changes. 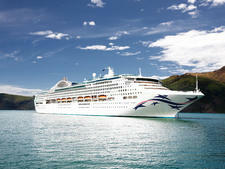 The cruise line has expanded both its fleet and its list of destinations. Although P&O Cruises is no longer the only cruising fleet permanently based here, it does boast the largest year-round fleet in Australia. 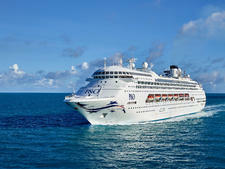 Who goes on P&O Australia cruise ships? Passengers come mostly from Australia and a few from New Zealand. It's a relatively younger crowd than found on some other lines, with an average age of about 45 years old. The generally easy-going and fun-loving passengers tend to be more budget-focused with value for money more important than luxury. 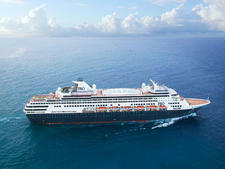 Although the cruise line is popular across multiple generations, couples and families dominate. It has won accolades for its family-friendly atmosphere with children kept busy by kids' clubs staffed by qualified teachers and childcare workers. Do I have to dress up on a P&O Australia cruise? P&O ships do not have formal nights with black tie requirements. Instead, there's usually one or two party nights (check your itinerary), with themes such as the Great Gatsby or the Bianco party, which calls for white clothing. What are P&O Australia's most popular activities? There is a wide range of onboard activities which include fitness classes, cooking demonstrations, mixology classes, live bands, dancing, game shows, table tennis, casinos, cabaret shows, karaoke, deck parties, spa treatments, trivia quizzes, in-cabin movies, shuffleboard, bingo, dance classes, themed nights and parties, talent shows, enrichment lectures and port talks. P&O Edge is an adventure park that uses the ship as its equipment; for example, abseiling across the bow or climbing the funnel (charges apply). Also popular are short theme cruises with a focus on food and wine or health and fitness, featuring speakers, presentations and special activities. Is everything free on P&O Australia? No. All meals at Waterfront Restaurant, The Pantry, Angelo's and Dragon Lady are included in fares. But all other dining options carry a charge. Drinks (alcoholic and non-alcoholic) are also not included, but dispensing machines for water, tea and coffee in The Pantry are free. In terms of activities, there are plenty of perks -- from the complimentary kids' clubs and comedy shows to cooking demonstrations and pool games. 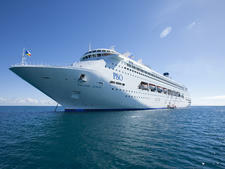 However, shore excursions and P&O Edge activities, such as zip-lining, are an additional expense. P&O Australia's Pacific Explorer carries 2,000 passengers and sports a contemporary design, a cabaret-style supper club and a water park with waterslides. P&O's Brisbane-based Pacific Dawn was refurbished in March 2017, adding two waterslides, a kids' waterpark, new dining venues, a virtual reality experience and redesigned bars and public spaces. Pacific Jewel is the seventh ship to cruise under the P&O Australia brand and another to have enjoyed many past lives with Carnival-owned companies. It was originally ordered by Sitmar but was absorbed into the Princess fleet when the company was taken over. Pacific Eden, which touts an impressively luxe look for a mid-priced cruise experience, offers an array of bars, complimentary specialty dining venues and first-class musical entertainment. P&O set out to reinvent Australian cruising with Pacific Aria; it's got a swishy pool deck, 15 dining options and a multitude of bars.